You can create a template from a layer or from cells. You can store anything available in the Timeline view as a template. Creating a template by selecting a layer in the layers list on the left of the Timeline view will incorporate the layer and all the drawings that were created in it, even if they're not exposed in the scene's timeline, whereas creating a template by selecting specific cells in the timeline will only save the selected drawings in the template. In the Library view, select the template you want to import. Drag the selected template to the Camera view or to the left side of the Timeline view. If you drop the template in the Camera view, its layers will be added at the top of your layers list. If you drop a template in the layers list in the Timeline view, it will be inserted between the layers where you dropped it. 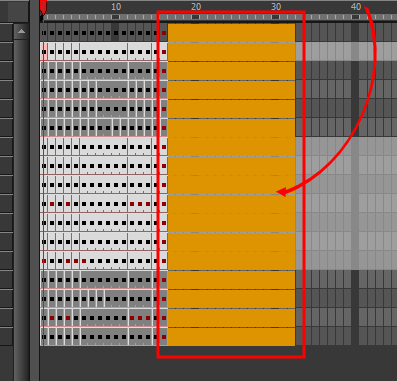 If your template has the same layer structure as a part of your scene, you can drop the template directly onto the frames on the right side of the Timeline view. 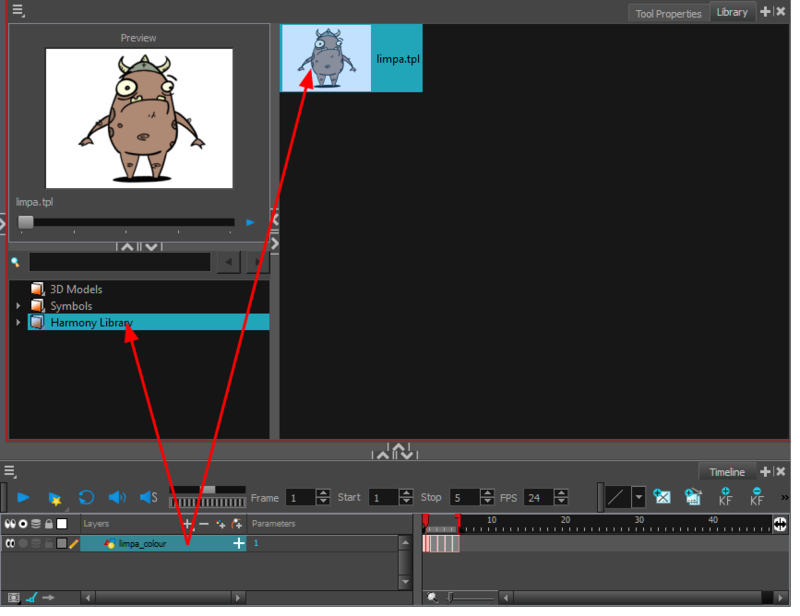 Instead of inserting new layers into your scene, this will replace the drawings and keyframes in your scene with the ones from the template. 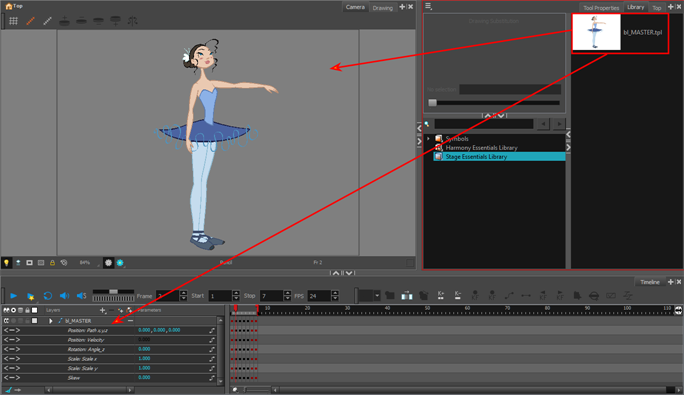 This is useful for importing pose or animation templates for characters that are already in your scene.